What’s Behind Your Arthritis: Inflammation or Wear and Tear? 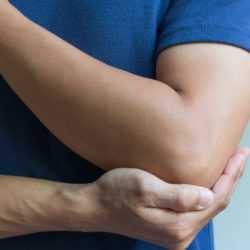 When you seek help for an aching knee, shoulder or other joint, one of the first things a doctor will do is try to see which of the two major types of arthritis you have. Three questions help give them the answer. Get answers to nine questions about how doctors may use a regular treatment of cortisone injections to provide pain relief for joint pain. Neck pain may signal a shoulder problem, and shoulder pain may signal a neck problem. Symptoms can overlap, too. Learn how experts tell the difference, and steps you can take to feel better. While many of us associate torn rotator cuffs with baseball, people older than age 45 are increasingly at risk for this injury. Treating a dislocated shoulder always looks so easy in the movies and on TV. In real life, you should seek medical attention right away.